Hi all! I'm pressed for time, so I'll keep this post shorter and sweeter than usual. 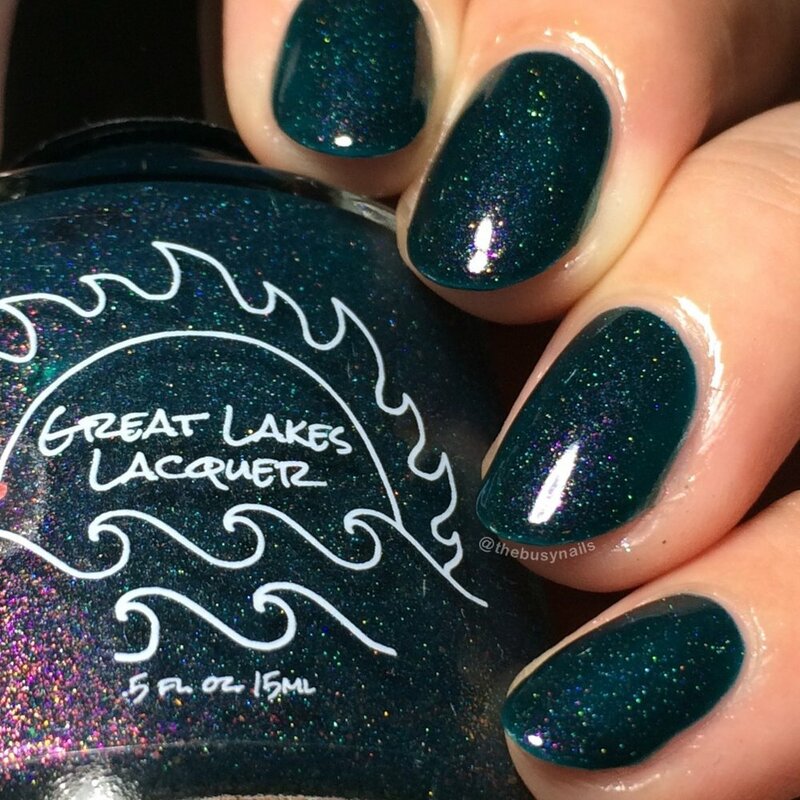 Great Lakes Lacquer has three gorgeous limited edition shades for September and they launch tomorrow. If you're a teal lover, you'll want to grab these! Bonus: the lovely girls these polishes are inspired by have the greatest names. 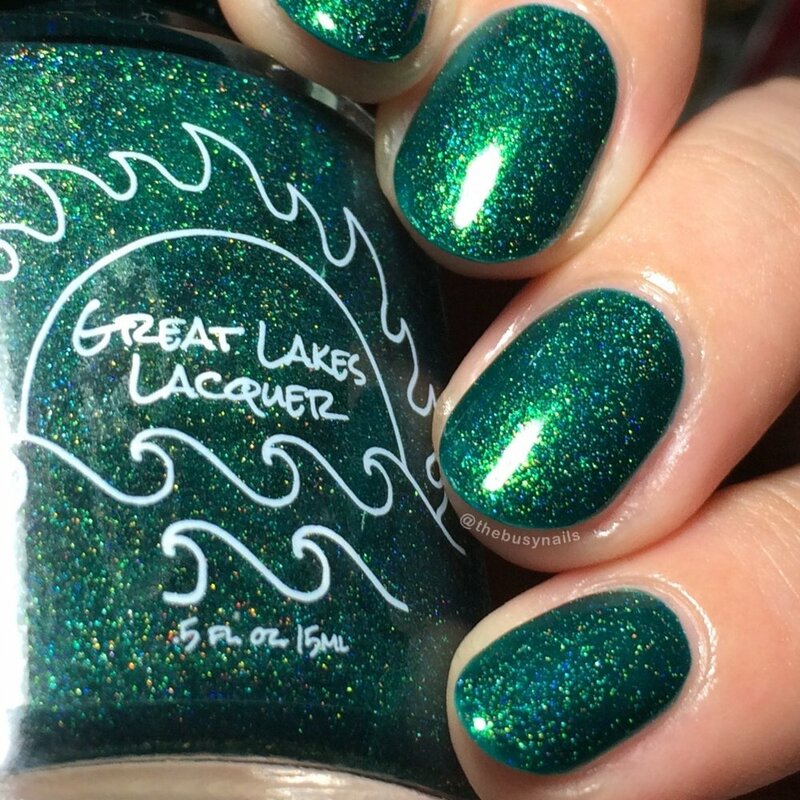 Available in the Great Lakes Lacquer shop from September 15th at 2PM EST through October 2nd at 2PM EST. There will also be a limited amount available at Polish Con. Available individually for $11 or as a set for $30. Three mermaids, named for the three main little girls in my life (my two daughters and my best friends daughter, who is like my niece). If there is water in the vicinity, they are in it. All set in a variation of teal, the shimmer brings out the difference. Buy your favorite or buy them all! The spitfire. 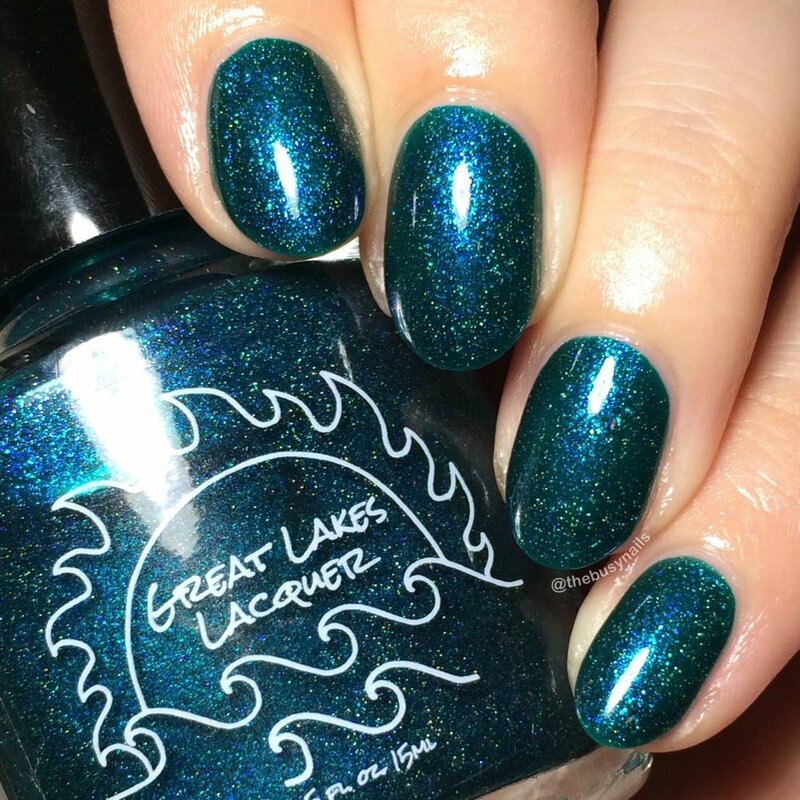 A deep teal shot through with red to gold to green shifting shimmer and scattered holo. 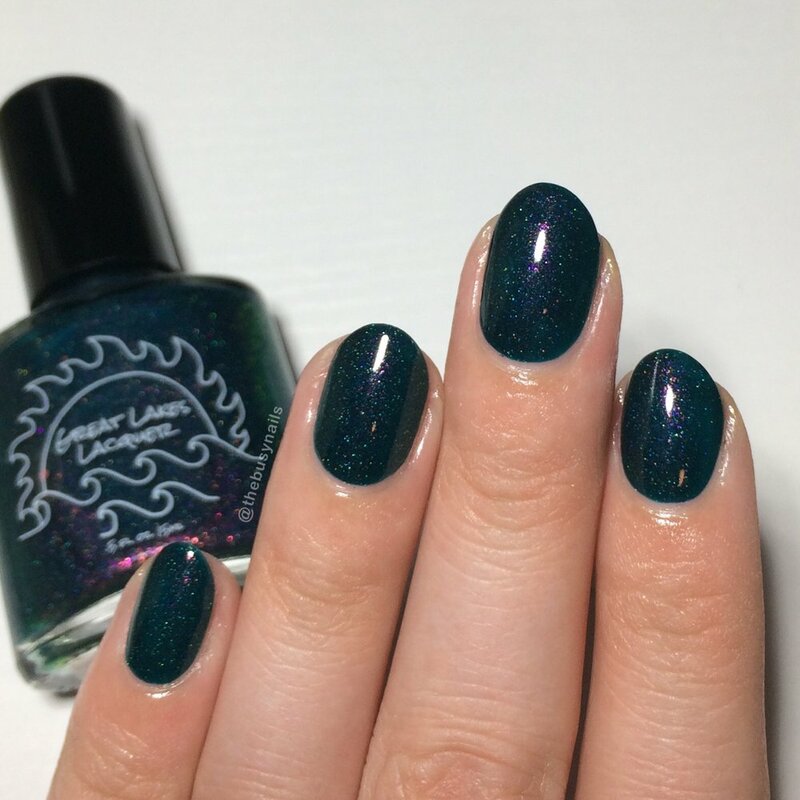 I wore this one as a full mani for a few days after swatching, that's how much I love it! The base color is gorgeous and leans just slightly more green than my photos show. If you happen to love Essie "Go Overboard", you'll love this. It's a little darker and filled with shimmer and scattered holo. Yes please. The leader. 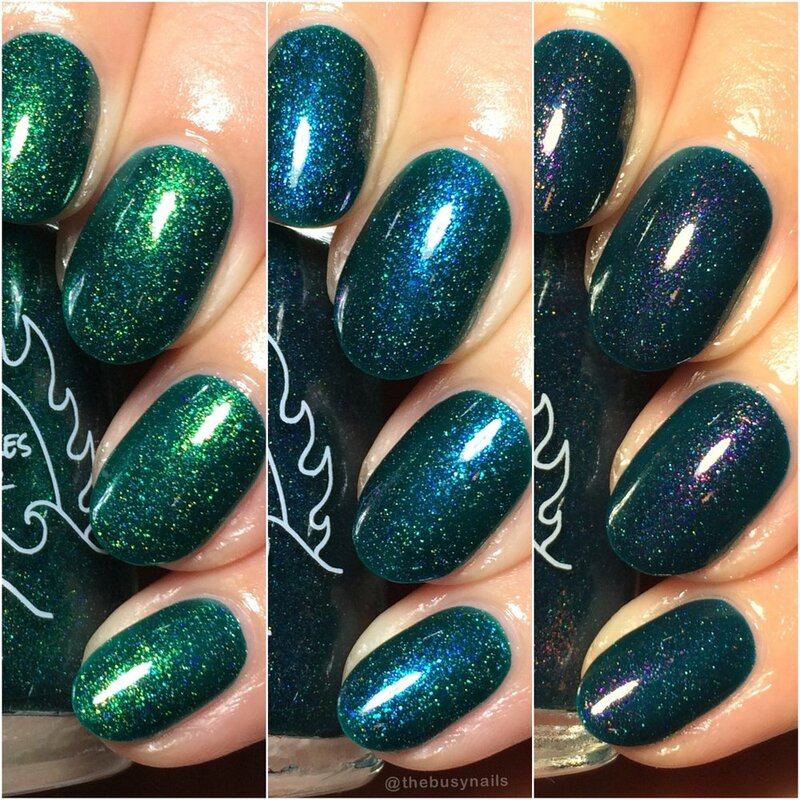 A green leaning teal filled with green to blue shifting shimmer and scattered holo. Greeeen! And oh so shiny. This one was the most opaque and least jelly-like of the bunch, with great coverage. It has an almost metallic wet-look to it that I love. The healer and the most adaptable. 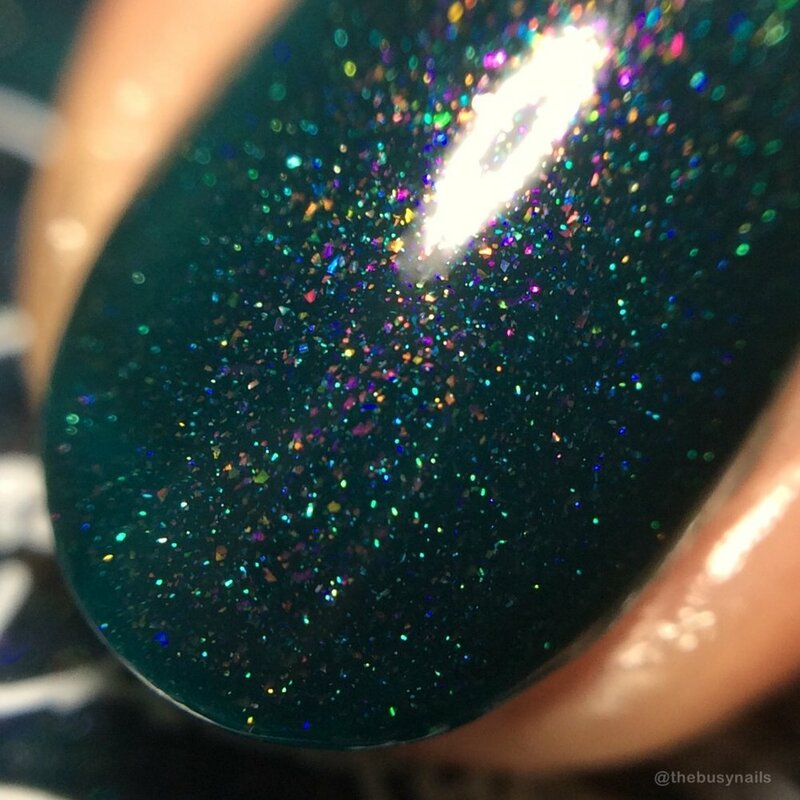 A blue leaning teal filled with glowing blue to purple shifting shimmer with scattered holo. Shiftier than I expected! In the best way. This is a beautiful rich, squishy blue-ish teal jelly that truly looks like a body of water. It has a ton of depth and I love the purple you get at certain angles. Really beautiful! Don't forget that these beauties are limited edition, so once they're taken down on October 2nd, they're gone for good! Do yourselves a favor and just grab them when they release tomorrow, Friday September 15th at 2 PM EST in the Great Lakes Lacquer shop. Trust me, you won't regret it!